Silver brads, Kraft taffeta ribbon, hologram highlights embossing powder. I love this paper and Stamp set. I just ordered more paper before the mini catalog ends. The last day to order Stampin Ups Summer Picnic Designer Paper is June 30th. So drop me a line if you would like to order your today before it is to late. Stampin' Up!® has released the list of sets which will NOT be included in the new Fall-Winter Idea Book & Catalog, which starts on August 10 Th. There is both an Alphabetical List, and a list in order of Page Numbers the stamp sets appear on in the catalog. Although you will be able to purchase these Retiring Sets through August 10th, the Stampin' Up!® sales year actually ends on June 30th. I will hate to see so many of my favorite sets go. But it also means their will be allot of new sets in the up coming catalog. 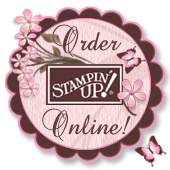 So before it is to late get your Stampin Up stamp sets now. Buy any 2 retired stamp set and receive a Classic Stamp Pad for FREE!!! , or 8 1/2 X 11 pack of card stock. This offer is good until June 30th. One more Father's Day Card. Made this card for Hubby. This year her is going to be surprised. I bought him ticket to a Rock Concert. Any one remember Sammy Hagar. Well we saw him New's Eve over 25 years ago. He is going to be sooo surprized. I glad he never looks at my blog. I made a fold out scrapbook for my son for Father's Day. The picture are of my son, his son and his dad. It was so fun to make. I tried to put some of my favorite pictures in the Book. I use 12X12 Card Stock so when it fold up it is 6X6. I used a 2 canvas board for the front cover. I then sponged it with SU Wild Wasabi, and Blue Bayou ink. 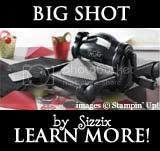 Most the product are Stampin' Up. I did use some letter stickers and and a couple of vinylstickers that matched perfect. 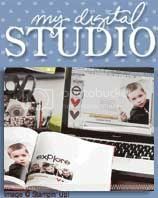 I made the book with Stampin Up's "Simply Scrappin" it's called "Creative License" It is a retired kit. I also used ribbon, brads and Stamps. Hope you like it. New Fresh Cut Notes - available NOW ! The new Fresh Cuts stamp set and notecards a coordinating set of gorgeous, die-cut floral stamps and notecards that will be part of Stampin' Up! 's new Fall-Winter Idea Book & Catalog, to be released August 11, 2008. Here is a sample I made with my new set. I am lovin this set. Can You believe it. The New Catalog will be here in August. So it's time for Stampin Up to retire some Stamp Set. Sunday this Sunday the list will be here. So if there is a Stamp Set you don't want to miss out on check back Sunday. 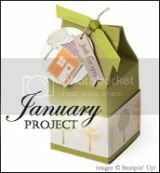 Also the list will be posted on Stampin up website. I will have a retiring Special discount. Which stamp set do you think will retire?